Pests not only wreak havoc on your lawn and landscape, they can also encroach on your home — which nobody wants. That's why McGuire Services, LLC treats the perimeter of your home with an environmentally friendly insect control. Our repellent prevents insects like ants, earwigs, and silver fish from making your house their home. We treat your home's foundation, ensuring that no insects are tempted to try to invade your space. Target insects inclulde ants, spiders, earwigs and silverfish. We recommend 4 applications a year at $59 per application. Our techniques work great and satisfaction is guaranteed. Mosquitoes can carry any number of illnesses with them. 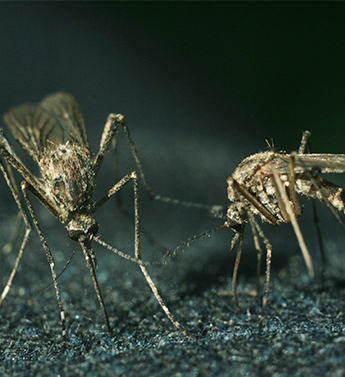 The Triple E virus, also known as the Eastern Equine Encephalitis virus, is one of the most severe mosquito-transmitted diseases in the US and has a 33% mortality rate. West Nile Virus has also been confirmed in both MA and CT. This is why it is important to keep the mosquito population under control. Along with treating your property, we will make recommendations to help keep mosquitoes under control. For best results, we treat your property every 4-5 weeks from May through September. We will inspect your property for mosquito breeding and harborage areas and apply a surface spray to target areas such as shrubs and ground cover. We will avoid sensitive areas such as vegetable gardens and koi ponds.